One of the schedules that will be filed by the individual debtor in a bankruptcy proceeding is a schedule of “exempt” property. Federal bankruptcy law provides that an individual debtor can protect some property from the claims of creditors either because it is exempt under federal bankruptcy law or because it is exempt under the laws of the debtor’s home state. Many states have taken advantage of a provision in the bankruptcy law that permits each state to adopt its own exemption law in place of the federal exemptions. In other jurisdictions, the individual debtor has the option of choosing between a federal package of exemptions or exemptions available under state law. Thus, whether certain property is exempt and may be kept by the debtor is often a question of state law. Bankruptcy Law involves many complicated assessments of how debts are handled. The particular situation depends on which Chapter you are filing under, what the type of debt is, and what state you are filing in. 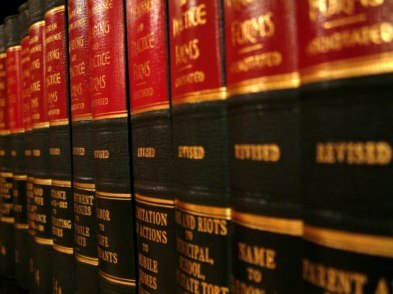 RobertsMiceli LLP stands ready to assist you with competent legal counsel concerning all of these considerations. In all matters involving bankruptcy, it is essential that you properly document your financial matters and discuss your case with a competent bankruptcy attorney before your situation worsens. Call RobertsMiceli LLP now at or Click here to submit a simple case form. The initial consultation is free of charge, and if we agree to accept your case we will work for you at reasonable rates. Don’t let the harassing creditors and late bills delay you another day from fixing your financial situation! Copyright © 2016 Roberts Miceli LLC.